Did you know that the federal Food and Drug Administration doesn’t analyze the content of dietary supplements, which do not even need proof of safety or effectiveness before they go on sale? To give consumers much needed guidance, the government recently provided an overview of what to know before buying supplements. When I first posted this news item, one of my readers, Helena, asked about resveratrol supplements and what to look out for when considering different brands. It’s an important topic, and I want to share my views more broadly. Let me first give some background, so that my answer makes more sense. Dietary supplements are widely available in the United States in health food stores, grocery stores, pharmacies, on the Internet, and by mail. People commonly take them for health-related reasons. Common dietary supplements include vitamins and minerals (such as vitamin C or a multivitamin), botanicals (herbs and plant products, such as St. John’s wort), and substances that come from a natural source (such as glucosamine). The only way to know for sure is taking regulated drugs manufactured by FDA-monitored facilities. In the absence of that, I always say that the information on this site is intended to educate, and can not replace the advice of a trained health professional. For medical advice and treatment – as is the case with resveratrol supplements – you should consult your physician, nutritionist or health care professional before changing your diet, medication or exercise regimen. 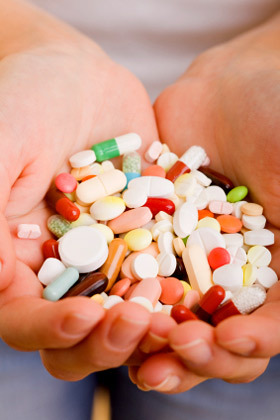 Read more on dietary supplements at WebMD, as well as a new overview by Michele Thompson at SheKnows.com. Great Article.Dietary Supplements are the great way to boost up your body energy if your food lacks in sufficient quantity of minerals and vitamins which our body needs.